Post-apocalyptic themes have been trending within the fiction world for quite awhile. Don’t get me wrong, I love me a bit of the end-of-the-world, but remember when Arthur C. Clarke wrote about “electronic papers” in “2001: A Space Odyssey,” (1968) and when H.G. Wells talked about a nuclear world in “The World Set Free,” (1913)? Anyway, who knows why the apocalypse is so popular now, but I sure hope it’s not because our future is sending warning waves back through time and into the minds of our most precognitive population: authors. 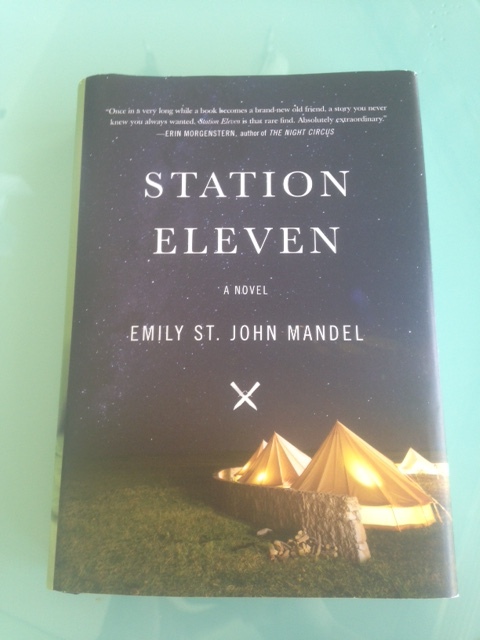 Emily St. John Mandel’s “Station Eleven” is both a story as well as a study of humanity, and how it behaves when the world thrusts it back to its prehistoric roots. I must admit, I wasn’t as impressed as I expected to be. Though the story was great, I thought there wasn’t enough explanation of what this post-apocalyptic world was like, or how exactly it came to be. There were a few specific questions I felt needed to be addressed before I could fully accept the setting. That being said, I devoured this book in a day, and it left me with that wonderful feeling of bewilderment, and a little bit of unease, that all great works of fiction do. It made me think about our not so fiction problems in this not so fiction world, and about who I would be if (when) the time came for all of us to face the end. Would I be the main character of the story, or that plot device lying silent by the side of the road? I’m not sure. I hope none of us will have to find out. This entry was posted in Book Reviews, Fiction, Recommended and tagged apocalypse, book review, books, Mary St John Mandel, post-apocalyptic fiction, Station Eleven. Bookmark the permalink.